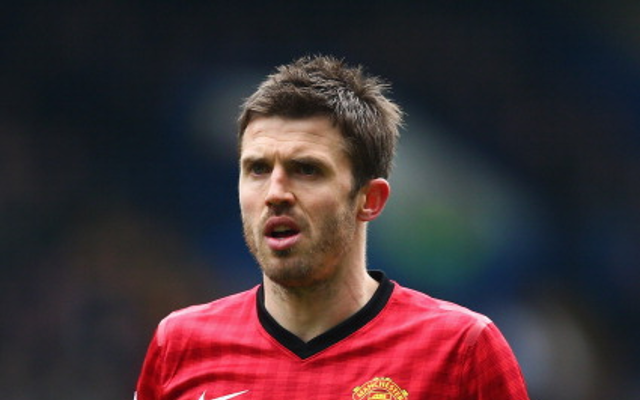 PFA Player Of The Year Shortlist Announced: Carrick A Surprise Inclusion? PFA Player of the Year shortlist announced. The nominations for the Professional Footballers’ Association Player of the Year award have been announced, and while many of the names on the list are as you’d expect, many will be surprised to see Michael Carrick up there with them. The Manchester United midfielder joins team-mate Robin van Persie, who has been in fine form with 21 league goals this season, as well as Tottenham’s Gareth Bale, Chelsea duo Juan Mata and Eden Hazard, and top-scorer Luis Suarez of Liverpool. Carrick has had a solid season for the league leaders, but there are still many who question his overall contribution to this United side. He has averaged 76.3 passes per game in the league this season, third best behind Arsenal’s Mikel Arteta and Manchester City’s Yaya Toure. But questions will be raised over others who may have deserved a nomination more, such as Swansea City’s Michu and Arsenal’s Santi Cazorla, both of whom have enjoyed glittering first seasons in England. Bale, Suarez and van Persie will be the three favourites to win the award, and the fact that United will surely go on to win the title this season might play in the favour of van Persie, who won the award last season while he was at Arsenal. He was the league’s top scorer on that occasion, with 30 goals, but might fall short of Suarez on that accolade this time round. Bale and Hazard are also nominees for the Young Player of the Year award, along with Jack Wilshere, Danny Welbeck, Christian Benteke and Romelu Lukaku.